Gov. Bruce Rauner delivers his 2017 budget address in the Illinois House. Illinois Governor Bruce Rauner has been campaigning relentlessly against last year’s income tax increase. But in his annual budget address Wednesday, he'll call for spending the extra money that rate hike has generated. Rauner wants more money to go to education and less to be spent on things like prisons and the judiciary. And according to a preview document obtained by public radio, the governor will not call for an immediate rollback of the tax increase. He’d make major pension changes using Cullerton's "consideration model" — in which state employees, public school teachers and university workers would agree to lower pension benefits in exchange for something of value. 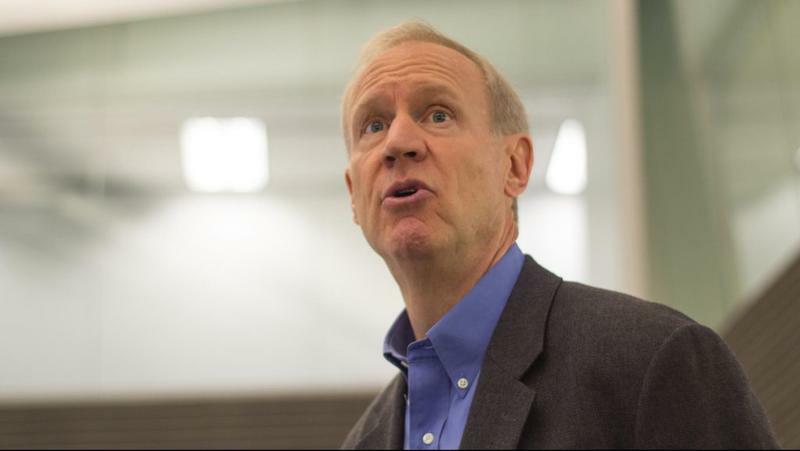 Rauner would then plow the savings from that into a tax rate reduction of 0.25 percentage points. But the plan — and tax cut — could be delayed for years while they're challenged in court. And even if that does get through the legislature and courts, it’s still a long way from Rauner’s stated goal of lowering taxes by nearly 2 percentage points. 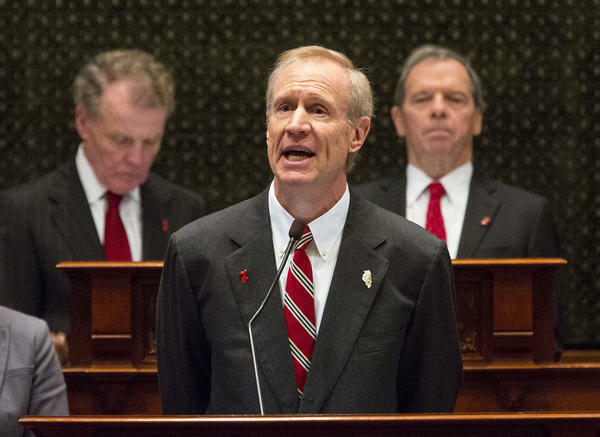 There are other aspects of his budget plan that could be challenging: Rauner needs Democrats to abandon their belief that public employee unions should be allowed to negotiate over health care benefits. He also wants to sell the Thompson Center in Chicago for a few hundred million. The thing is, the expected savings from that are already counted in this year’s budget, and, generally, buildings can be sold only once. 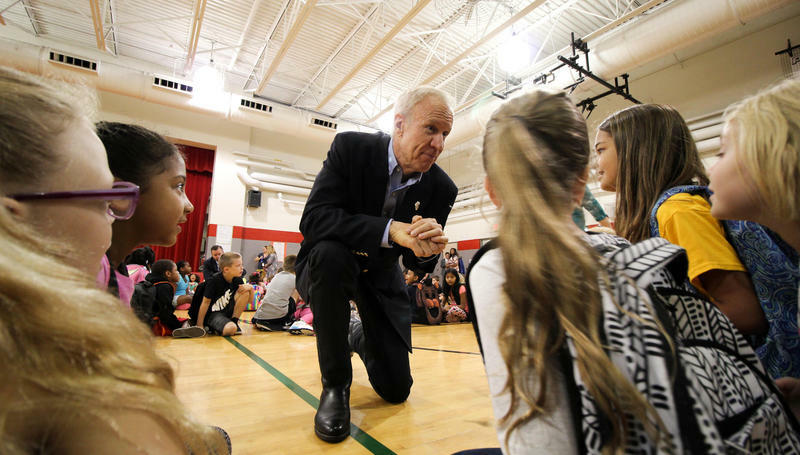 If you have seen Illinois Governor Bruce Rauner’s campaign commercials, you might think the school funding issue was settled last summer. But as often happens with complex legislation, it was followed by a "trailer" bill cleaning up some technical language. 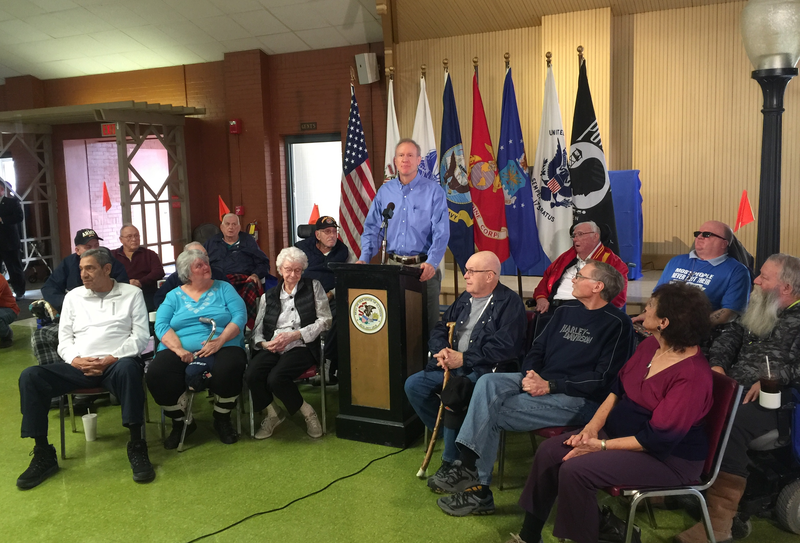 Governor Bruce Rauner wrapped up a week-long stay at the Illinois Veterans Home (IVH) in Quincy Wednesday morning with a news conference. He used the platform to show his support for the residents and the staff and to call for some significant infrastructure improvements at the facility.